Many small business owners like yourself pay for advertising on popular social networking sites like Facebook. You may be thinking about taking out an ad yourself and have some questions you would like answered first. How much does Facebook advertising cost? Do ads on Facebook even work? 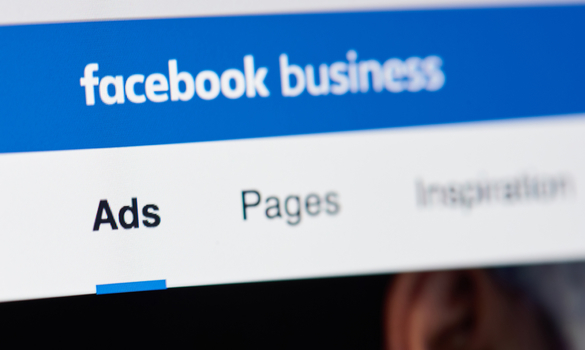 This article will answer those questions for you so that you can decide whether advertising on Facebook will improve your business’ performance. The first question every small business owner has, and rightfully so. Fortunately, or unfortunately, depending on how you look at it, Facebook operates differently than other internet advertising options. Instead of providing the business with a set price for each service provided, Facebook allows businesses to set a specific budget for social media content advertising on their site. This is good in a sense that you can be sure you won’t have to spend more than your business can afford, but its not necessarily that simple. If you want to be able to have a bit more insight into how much each Facebook advertisement costs, we can help. Depending upon which industry your business operates in and which types of Facebook ads you choose, pricing can vary. Cost Per Click, or CPC, is one form of calculating costs, based on the cost per click to whatever link you have enclosed in your posting. Cost Per Mille, or CPM, refers to the cost for every 1,000 impressions, or views, of your advertised post or page. The professional services sector has, far and away, the highest prices for both CPM and CPC at $9.66 and $.40, respectively. The entertainment industry, on the other hand, has the lowest prices, with a CPM of $3.90 and CPC of $.16. It is important to know that Facebook pricing is based on a variety of influences. If you do different types of market research, you could find Facebook ads costs affordable. In Facebook’s internet advertising cost model, businesses are put in a bidding war against one another for views. You set a budget for a particular ad and if another business has a bigger budget set for an ad for that same audience, they get the advertisement, not you. So while you are sure to never go over budget using Facebook to advertise your small business, you are not really guaranteed to actually advertise on their site. Facebook is by and large the social network with the most users. That should mean the largest audience for your advertisement as well, right? No, that is not the case with Facebook ecommerce stores and social platforms. While you may not reach the largest audience possible, you are reaching the audience that is most likely to be interested in your ad. This is very different than other options for internet advertising where anyone who clicks on the page can see your ad. There is a huge benefit to this method for small business owners like yourself. This guarantees that the people who are seeing your ad are already interested in similar businesses. What does that mean for you, the advertiser? It means the people who are seeing your advertisement are significantly more likely to actually be interested and click through to your website. So while your small business ad may not be reaching thousands of people who may or may not be interested, it is instead reaching hundreds of people who probably will be. It is up to you to decide if that sort of internet advertising is right for your small business and worth participating in an auction for. In order to get a reasonable bidding cost for Facebook ads, you will have to analyze a number of factors in addition to your targeted audience. There are many other companies like millennial media that are competing for that same ad space. Facebook advertising pricing can fluctuate based on the time of day, placement on page or even the type of action you’re bidding on. As you start to get some conversions with your advertising, test out various bidding strategies. Finding a strategy that works for you on Facebook could yield very successful results for your company. You may still be considering advertising your small business on Facebook but want some information on other social network internet advertising costs to maximize your 4p marketing. There are many options out there that you will have to research further in depth to decide which is right for your small business. Some of those options you might like to consider are Youtube, Pinterest, Instagram, and Twitter. Costs for each network are calculated differently, but you can expect to pay less than you would for a similar ad on Facebook. Pinterest advertises in the form of promoted pins, which will allow users to see an image with embedded link on their feed which is typically populated with friends’ posts. This won’t guarantee that people actually click through to your site right away, but if they like what they see odds are they will save it to their own pinboard for later viewing. Instagram now offers promoted posts, but currently offers no small-business friendly option as their prices start at $350,000. Unfortunately, that means most business owners cannot advertise on Instagram in the most basic sense. However, you can certainly advertise on Instagram using your own account! Instead of paying for a single post to be promoted, you can instead focus your efforts on building a great social media presence. This will attract follows who will engage with your accounts and essentially provide you with free advertising. You can use social media to promote your business without having to spend a dime. Try it on Instagram. Twitter functions much the same way as Facebook, using an auction model for ad pricing. YouTube is another alternative that also uses an auction model but does not charge if users choose to “skip” your ad before it is finished. That can be a great advantage if you are able to create a video advertisement. Consider these sites in addition Facebook, they may offer you some savings. But more importantly, you can be sure they are effective because you will not have to pay if they are not. These two social networks offer an excellent business marketing opportunity. In reality, no one can tell you whether Facebook ads are worth the money for your small business start up. You won’t ever spend more than you should thanks to the ability to set a budget, but you won’t be able to guarantee that your small business will actually be the winner of the advertising auction. There is much to be said for the fact that your ad will be seen only be your target audience because that will increase the likelihood of users actually clicking through to your website. There are, of course, other social media platforms that you can look into advertising on as well instead of Facebook or in conjunction with your ads Facebook. The decision lies with you to decide whether or not the Facebook advertising cost is worth it. So decide what your business needs are and whether or not to give internet advertising a shot on Facebook.